Rhinoplasty – commonly referred to as a “nose job” – is a cosmetic surgery procedure that is usually done to improve the appearance of the nose. A rhinoplasty nasal surgery involves reshaping the nose by reducing it in size or shape or enhancing it. Last year, rhinoplasty was the second most popular cosmetic surgery* with over 221,000 surgeries performed (breast augmentation was the first, with over 290,000 done). Is rhinoplasty nasal surgery the only way to reshape a nose? A few decades ago the answer would have been yes, but nowadays we can use dermal fillers to slightly alter the nose without undergoing surgery. Dermal fillers (such as Restylane/Perlane, Juvederm, and Radiesse) are used to replace volume, and fill wrinkles and folds in the face. Using a bit of filler in the nose area can make a bump or hump in the nose disappear. The results are immediate and can last up to a year or more (depending on the type of filler used). This is a great way for people to “preview” what can be if they do elect to have rhinoplasty done. Rhinoplasty cosmetic surgery can be done to fix small to large nasal irregularities. 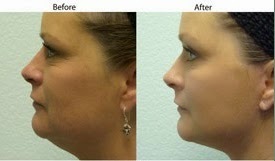 For some people, rhinoplasty is also done to help breathing function. Dr. Perkins can change the shape of a nose by altering bone, cartilage, and soft tissue. A crooked nose can be straightened, a bulbous tip can be refined, and a widened nose can be narrowed. 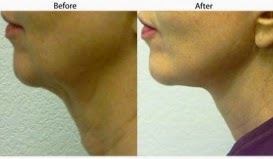 Dr. Perkins pays close attention to the nose/chin connection so facial proportion is balanced and the result looks “natural”. Whether you are having rhinoplasty to bring balance to your features, improve your look and confidence, or alleviate breathing problems, it is important that you speak candidly about your expectations with your doctor. Dr. Perkins takes the time to listen to his patients, educate them on their options, and help them make a decision that best suits their needs. When the doctor and patient have this sort of understanding, the patient is usually very pleased with the outcome. Santa Barbara cosmetic surgeon Dr. Terry Perkins is an expert in facial cosmetic surgeries, including Rhinoplasty Nasal Surgery. Call Cosmetic Surgery Center at 805-563-0000 to schedule a consultation with him. * Cosmetic surgery statistics from the American Society of Plastic Surgeons “2013 Plastic Surgery Statistics Report“. Fixing a deviated septum that is deformed and may block air passage and potentially cause snoring and/or impact quality of sleep. Fixing a nose that has been broken, whether it is through a car accident, a fall, or a fistfight – the nose seems to be most vulnerable in situations like that. Reshaping a nose that looks too big for a face or has a large bump on the bridge. Giving the nose more structure because it is too flat on the face. Whatever the reason, it is important to realize that no two noses are alike and no two nose jobs should be alike either. Santa Barbara cosmetic surgeon Dr. Terry Perkins is an expert in facial rejuvenation and pays special attention to the nose/chin connection so as to not over correct the nose, which could result in an unnatural appearance. 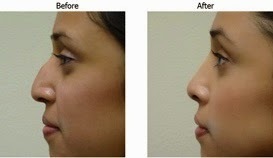 Rhinoplasty by Dr. Perkins can provide a dramatic change in the appearance and function of the nose. Front facial views and profiles can be improved through a nose job surgery. Nasal surgery can narrow a nose, straighten a crooked nose, refine a bulbous tip, and remove an unwanted bump. A deviated septum or bone spurs can be corrected at the same time, if needed. Dr. Perkins does the majority of rhinoplasty surgery with the closed technique that allows incisions to hide inside the nose. A combination of local anesthesia, oral and intravenous sedation will keep the patient comfortable and unaware – general anesthesia is not needed. 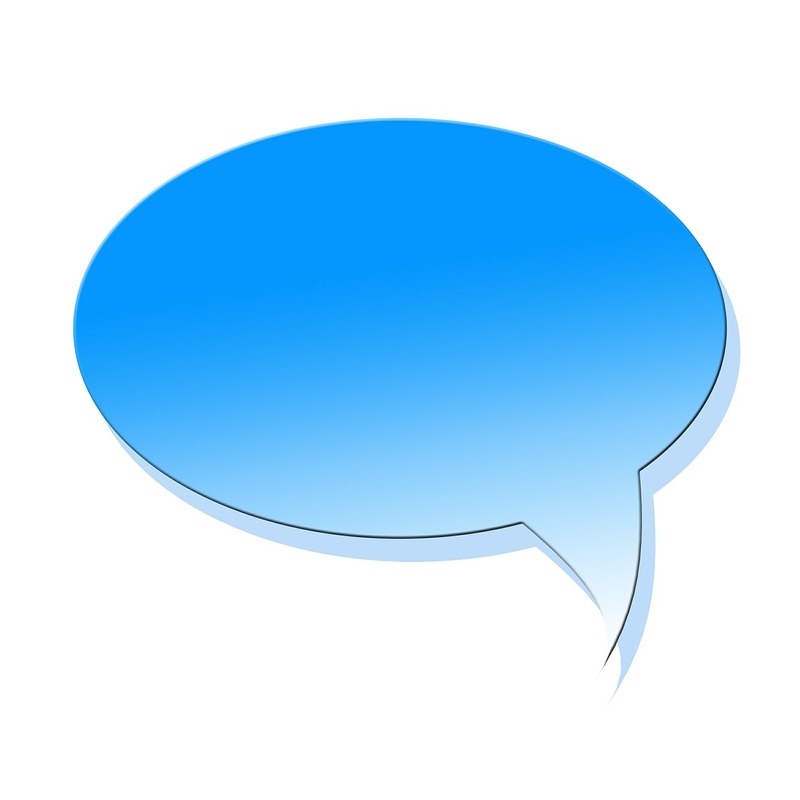 Minimal pain can be expected after surgery and is controlled with oral medication. Patients may experience some stuffiness, similar to a mild cold. An external dressing is in place for the first week. Most people return to work at 7 to 10 days. Click here to see before-and-after rhinoplasty pictures by Dr. Perkins on his website. If you are interested in rhinoplasty in Santa Barbara by Dr. Perkins, please contact his office to schedule a consultation appointment. Cosmetic Surgery Center Santa Barbara – 805-563-0000.